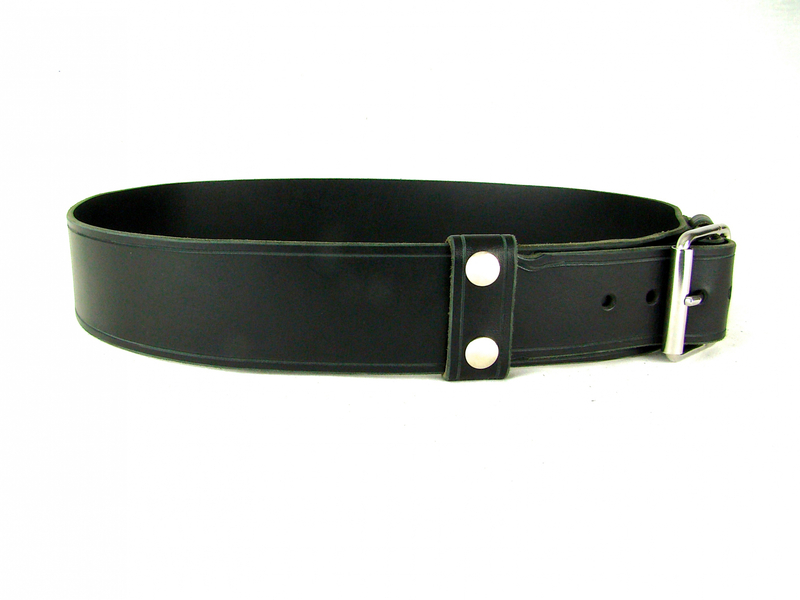 Kilt Belt Black Leather Single Buckle Kilt Belt Vader Cosplay Belt | Holy Heck U.S.A. 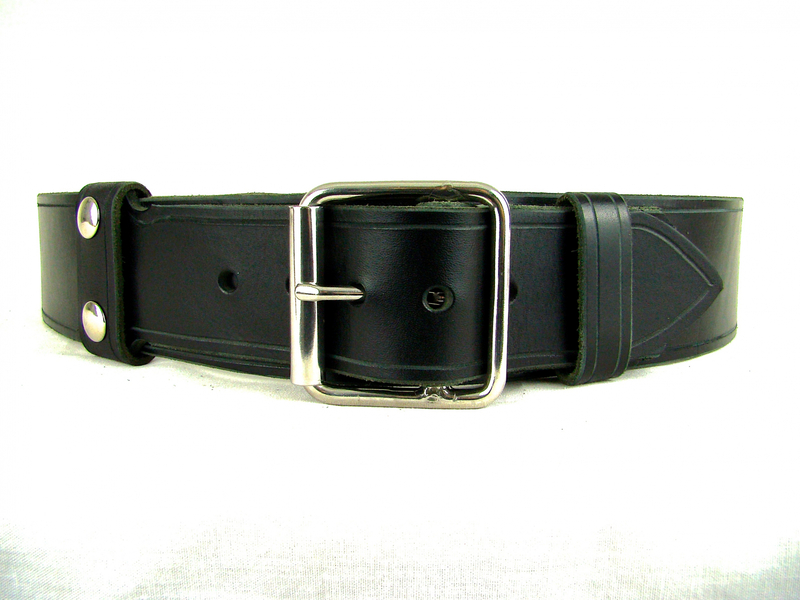 This single buckle black leather kilt belt is 2 1/4 inches wide and complimented by a gorgeous double bar stainless steel buckle. 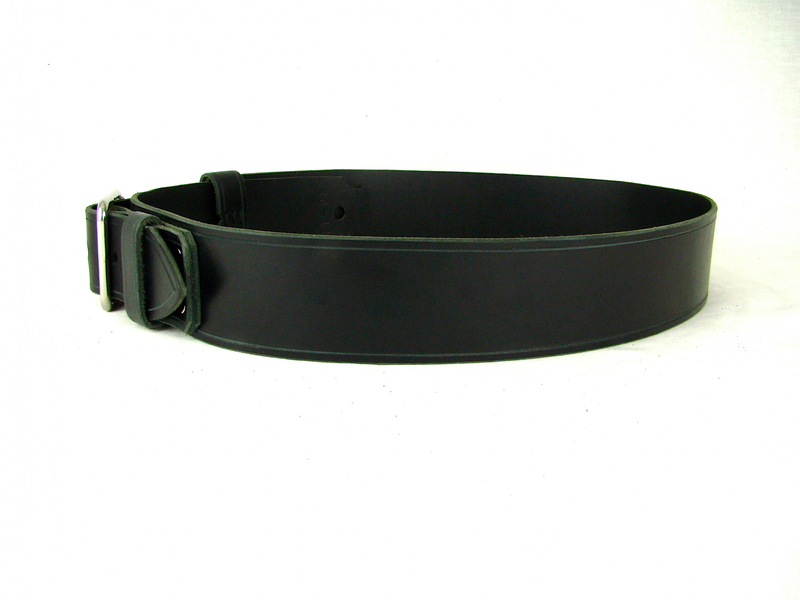 A bit narrower than our standard kilt belt width, this belt has a grooved accent line 1/8 inch from the top and bottom edges of the main belt body. 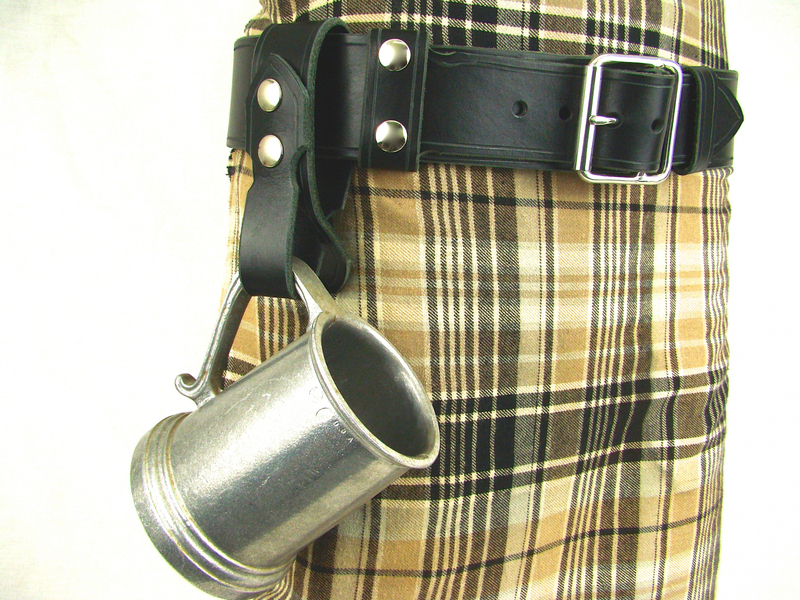 Simple, elegant, funtional and fashionable, this full grain leather Vader style kilt belt is popular amongst kilt wearer's and cosplay participants. 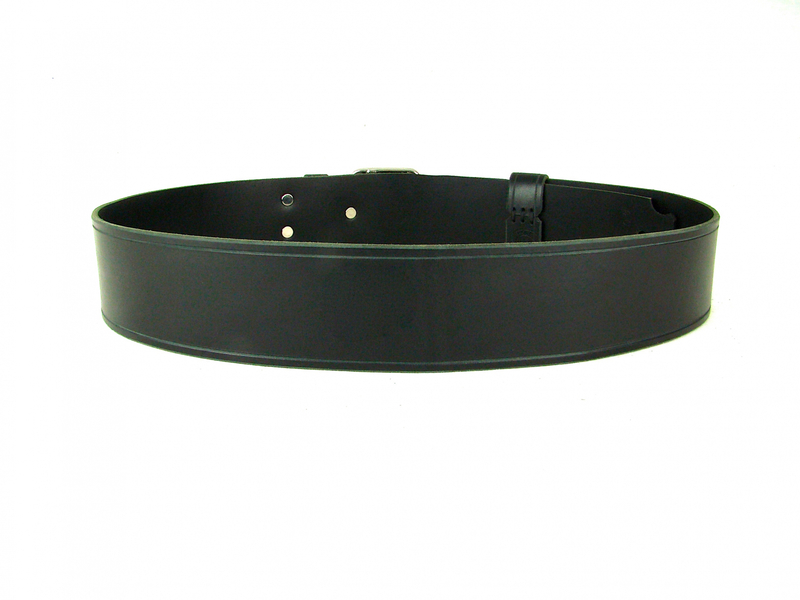 There are minimal buckle holes in the fastening area for this belt due to different user's needs. Please specify how many buckle holes you would like. *Tankard Strap Sold Separately here.